Choosing a camping radio to take with you on your outdoor adventures is quite different when you are choosing one for your home. You don’t have the same convenience you have at home when you are outdoors. What you need is a radio that features good battery life or can be powered up via solar power or something lightweight that does not take so much space in your backpack. In this post, we will be discussing everything there is to know about choosing the best camping radio to take with you on your adventures. We have done the hard work for you, as we have rounded up five of the best ones available on the market right now. Making an intelligent buying decision will be possible after you have read this post. Keep reading if you want to know more. 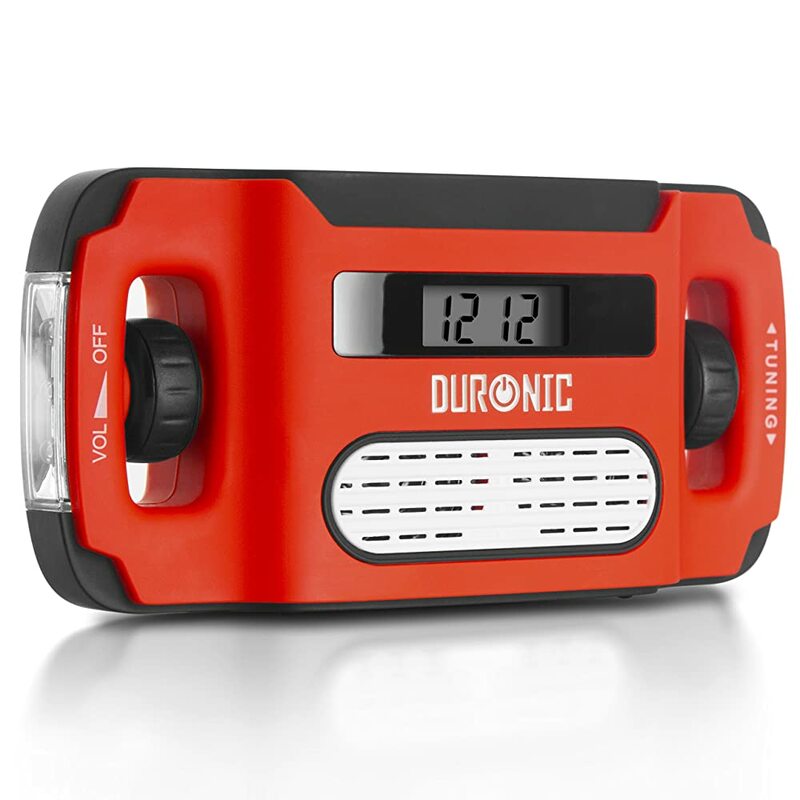 The Duronic Apex is a compact radio loaded with awesome features, which makes it ideal to bring along to any camping trip. It comes with a built-in rechargeable battery, which you recharge through winding the hand crank, using a solar panel, or using a USB cable. This would mean that you would not need to worry again about your radio running out of power. Aside from using it as a radio for listening to music, you can also use this camping radio as a torch, which makes it a lot useful during your camping trips. To add, this Apex radio features an alarm clock, which can come in handy if you need to wake up very early the next day. One thing to make sure of is that you need to keep it fully-charged if you use it as an alarm. 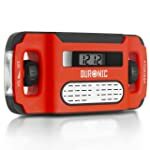 This Duronic Apex camping radio would be able to provide you with 9 hours of play time while it can also give you up to 6 hours of torch use when fully charged. Lastly, you can also use the USB socket on the radio in case your phone runs out of battery. It is noteworthy, however, that it may take some time to fully charge your phone. If you are looking for a camping radio that is multifunctional, then you might want to consider buying this radio created by Duronic Apex. 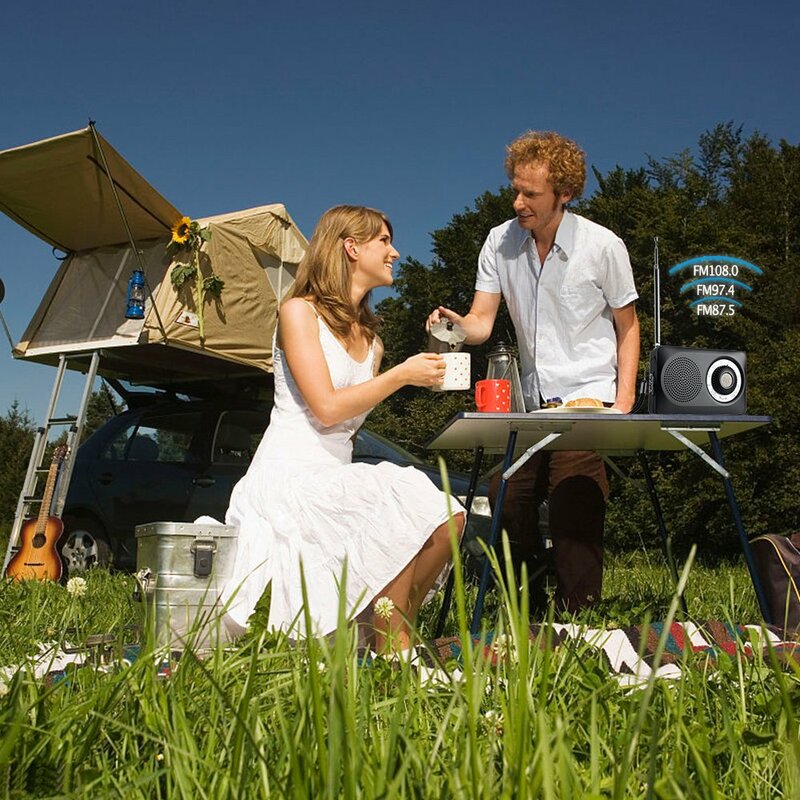 In case you don’t know, DAB radios are not as suitable for camping the way AM/FM radios are. The reason is that they have a shorter battery life compared to the latter. In addition, you would not be able to find a lot of DAB radios on the market now. 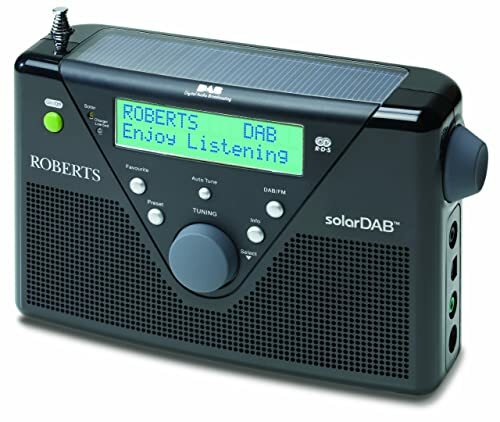 However, if you wish to take a DAB radio to your camping trip, then a good choice would be the Roberts DAB/FM digital solar radio. As the name suggests, this camping radio can be charged using a solar panel, which has the capability to power up at least three AA rechargeable batteries inside the camping radio, if you have it placed under direct sunlight. It is noteworthy, however, that replacing the batteries would greatly depend on how much you use the radio and how sunny it is outside. To add, batteries are not included in the package, so you are going to need to buy three AA batteries. What we like about this DAB/FM camping radio is that it comes with an LED light display that indicates the solar level, as well as the battery level. This way, you are informed when the batteries’ power is about to drain, aside from knowing that they are currently being charged. You can also plug this camping radio into the mains instead of using the batteries. If you are looking for a solar-powered camping radio, then this product by Roberts should be right for you. Another great product on this review is the DreamSky AM/FM portable camping radio. It has a compact size, which you can fit easily in your backpack, pocket, or suitcase. 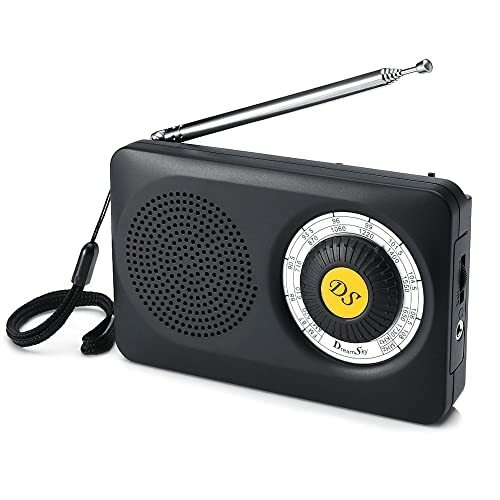 This portable radio would be perfect for indoor daily news reports, as well as use for any outdoor activity including fishing, camping, and running, among others. It comes with a built-in speaker and a headphone socket, ensuring a clear and loud sound, as well as giving you the option to listen to music with some privacy. Another great feature of the DreamSky portable radio is that it delivers the best reception, with its metal telescopic antenna, extendable up to 14 inches. This would come in handy especially if you are situated in a place with a weak signal. What we like about this camping radio is that the package already comes with two AA batteries. In addition, owning this radio and bringing it to your camping trips is highly recommended, as it can keep you informed and alerted in the event of an earthquake or hurricane. Lastly, it is very easy to use. You just need to power it up and you are good to go. 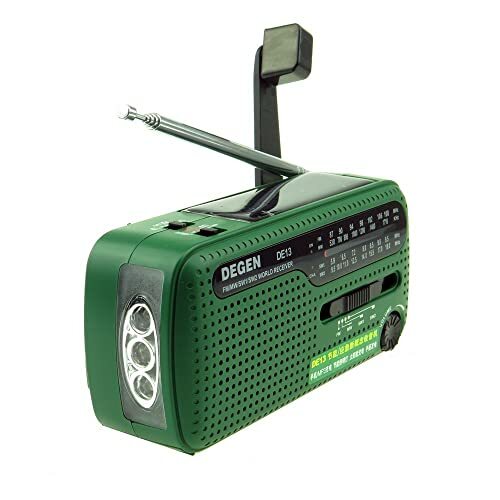 While it does not come with a digital display, this product by DreamSky offers all that you need for a camping radio. Much like the Duronic Apex camping radio discussed above, this crank solar radio by DEGEN can be powered in several ways. You can hand crank this radio, use a solar panel, charge via USB cable, or using three AAA batteries. This handy camping radio picks up shortwave, as well as AM and FM radio stations. This camping radio makes a good choice because it comes with a torch, an alarm siren, as well as the capability to charge your phone via USB connection. What this radio lacks, however, is the alarm clock function. Considered as one of the cheapest radios on this review, this camping radio by DEGEN does a great job in keeping you entertained and informed. The KitSound portable radio would also be a great choice if you want a high-quality camping radio. This radio can store up to 20 preset stations and it features an LCD display with backlight, allowing you to keep track of the station at any time of the day. To add, it is equipped with the telescopic 360-degree antenna, which allows you to find a clear signal every time you use it. What we like most about this portable radio is that it is wireless, giving you the freedom to listen to the radio wherever you are. Plus, it gives you a total of seven hours of play time, with its built-in rechargeable battery. This radio by KitSound comes with a built-in rechargeable battery, so it would be perfect for you if you are looking to save more money. Considered the most popular type of camping radio out there, battery-powered camping radios, according to users, are also the least reliable. The reason is that, obviously, batteries have a limited life. What you can do about it is you can bring spare batteries with you. Better yet, bring batteries that are rechargeable. As the name suggests, solar-powered camping radios let you charge its battery just by harnessing the sun’s energy. It comes with solar cells that have the capability to convert the energy coming from the sun into electricity that eventually powers up the radio. However, its reliability also depends on the sun’s appearance. Functioning much like a hand-powered generator, a hand-cranked camping radio features a small mechanical crank that you need to spin or pull to get the radio to work. Having a camping radio with you can make you safe from harm, especially when it comes to abrupt weather conditions. If you have your radio turned on, you get to be notified about sudden weather disturbances. Once the radio picks up an alert, then it will be able to provide you with an immediate notification so you can prepare. Whenever you are out on a camping trip, there’s a chance that you may have been bored. A great way to avoid such an occurrence is to have a portable camping radio. This way, you can listen to music, which could also be a good idea while you are all gathered around the bonfire having a barbecue or drinks. Indeed, the radio proves to be the perfect source of entertainment. While multi-functionality would greatly depend on the camping radio you choose, you may enjoy benefits such as the camping radio having the functionality of a camping lantern, among other features. A camping radio will be deemed useless, especially if it only features minimal frequency range. When choosing the best camping radio, ensure that it can deliver excellent reception, even if you are in a remote area. Otherwise, you would not be able to use your radio, which you can use for music or emergency alerts. Volume is an important factor, especially if you are going to use your radio for music. In addition, a higher volume would mean that you get to hear emergency alerts with clarity. When choosing a camping radio, check to see if the range is between 80 to 84 dB, which you can compare to the noise of traffic in the city. A great camping radio does not only provide you with entertainment. It also should allow you to be prepared in case of emergencies. When choosing a camping radio, ensure that it comes with the Specific Alert Message Encoding feature, which you can set depending on your specific destination. With this feature, you get to be notified if there are any emergency alerts. Given that camping is such a demanding outdoor activity, keep in mind that when choosing a camping radio that you ensure that it can endure wear and tear. It would be best if the camping radio comes with weather-proofing features, allowing you to use it outdoors without any worries about it being easily damaged. While not all camping radios come with a display, it would be better if the radio you choose has got a small screen that displays the frequency where you are currently tuned in. When it comes to choosing camping radio, make sure that you consider one that is lightweight and compact, something you can easily bring along and not much of a burden when you carry it. 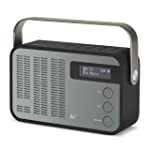 If you are having a difficult time choosing which camping radio to buy, the next best thing is to rely on consumer reviews, preferably from buyers who actually bought the product. Doing this method makes it a lot easier for you to narrow down your choices, through the help of the pros and cons of each product that is available on the market now. If the brand is confident about their product’s quality, it should never hesitate to offer extended warranty coverage, which, as a consumer, would provide you with peace of mind. If you found any defects on the camping radio within the duration of the warranty, you should be able to have it replaced or your money refunded. Choosing the best camping radio is now a lot easier, now that you have reached the end of this post. With this review, we hope that you will now be able to make an intelligent buying decision. Just remember to carefully review the essential factors that need to be considered when choosing the camping radio that is right for you.